Craig is the head of our Commercial Property Practice. He specialises in commercial property and property finance. Craig’s practice encompasses all aspects of commercial property law, property development and property finance. Craig has been actively involved in the establishment of numerous freehold and sectional title, commercial, industrial and residential developments throughout South Africa. He represents the interest of various listed property funds, property developers as well as representing various commercial property lenders in financing property acquisitions, developments, restructures and refurbishments. 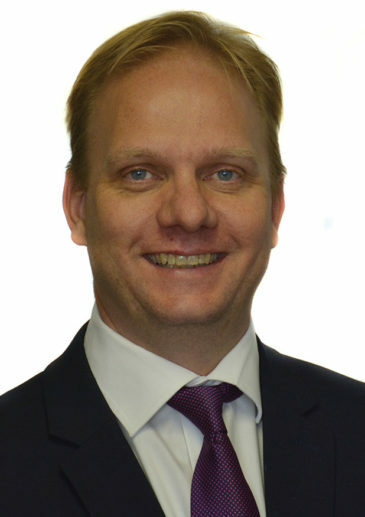 Craig has been actively involved in advising on both lenders and developers on land issues arising from renewable energy projects under rounds 1, 2 and 3 of the South African Department of Energy’s renewable energy program – such projects include solar PV, hydro, landfill gas and wind projects. Craig has sat as an elected national councillor for the South African Property Owners Association and is recommended by the Legal 500 which describes him as “a leader in real estate”. Craig was admitted as an attorney, notary public and conveyancer in 2001 and holds a BA LLB from Rhodes University and an LLM from Unisa. Acted for FirstRand Bank Limited (acting through its Rand Merchant Bank division) and Investec Bank Limited in relation to the development and term finance of ZAR 2,6 billion made available to Azrapart Proprietary Limited to fund the re-development of Fourways Mall. Acted for Capital Property Fund in relation to (i) the transfer of two industrial property portfolios (valued at ZAR 481 million and ZAR 367 million respectively) as part of attaining corporate REIT status (ii) the disposal and transfer of a property portfolio comprising both commercial and industrial properties valued at R 980 million. Acted for Eris Property Group (via is subsidiary Gillwell Taxi Retail Park Proprietary Limited) in (i) the development of a 22 260m² five-level shopping centre known as Gillwell Taxi Retail Park in East London and (ii) the disposal of Gillwell Taxi Retail Park to Dipula Income Fund. Acted for Flanagan & Gerard (via its subsidiary, Thavhani Property Investment Proprietary Limited) in (i) the development of Thavhani Mall in Thoyoyandou, Limpopo (which, on completion, will be valued in excess of ZAR 1 billion) and the (ii) disposal of an undivided 33% share in Thavhani Mall (upon completion) to Vukile Property Fund Limited. Acted for FirstRand Bank Limited (acting through its Rand Merchant Bank division), in relation to a ZAR 850 million development facility provided to Thavhani Property Investment Proprietary Limited to finance the development of Thavhani Mall. Chambers and Partners 2018 ranked Craig in Band 3 for Real Estate. Chambers and Partners 2017 ranked Craig in Band 3 for Real Estate. Craig Schafer is a recommended lawyer in Legal500 2017.